23rd February 2015 marked the 5th anniversary of the Carlton Towers accident in which 9 innocent lives were lost and over 60 were injured. To a lot of us, it still seems so fresh in our minds! So that more folks can participate,we decided that the Memorial Lecture should ideally be over a weekend closest to the 23rd Feb. every year. So, this year’s memorial was held on 22nd Feb.2015. Mr.Ravichandar is actively involved in evangelising the idea of Corporates and Civil Society coming together to work with Government on a City Connect platform to improve the quality of life in their city. In Bangalore, he is engaged with road improvement (Tender SURE) and Solid Waste Management initiatives through Wake Up Clean Up (WUCU). Mr.Ravichandar is Member, BBMP Restructuring Expert Committee and the co-Chair of the Karnataka Tourism Vision Group.Mr.Ravichandar has a Mechanical Engineering degree from the Birla Institute of Technology and Science, Pilani and an MBA from the Indian Institute of Management, Ahmedabad with over 34 years industry experience. The Director General & DGP of the Karnataka State Fire & Emergency Services, Mr.Om Prakash IPS consented to be present on this occasion and spoke on the situation around fire safety in the city currently and lauded Beyond Carlton’s activities. This was followed by a one-on-one session with Mr. Uday Vijayan, Managing Trustee & President Beyond Carlton on “5 years after Carlton: Lessons and action taken” gave an insight into what Beyond Carlton had achieved in the last 5 years and the plans for the future. Like the previous years, Beyond Carlton, handed out bravery awards at the Memorial Service to firemen who routinely risk their lives to save others. 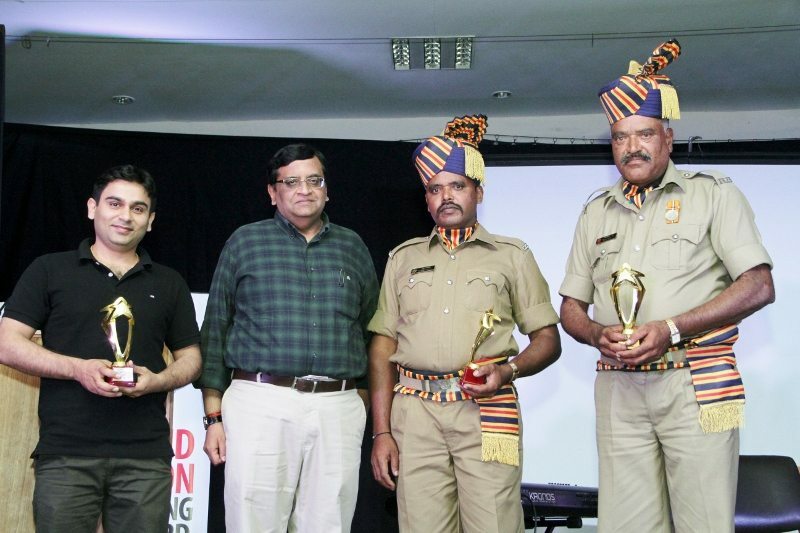 This award is sponsored by Beyond Carlton and the names of the recipients are nominated by the Karnataka State Fire and Emergency Services (KSFES). To add a new element to the Memorial, Shoonya,a world music group from Bangalore,performed some soulful renditions that evening, to pay tribute to the 9 lives lost.